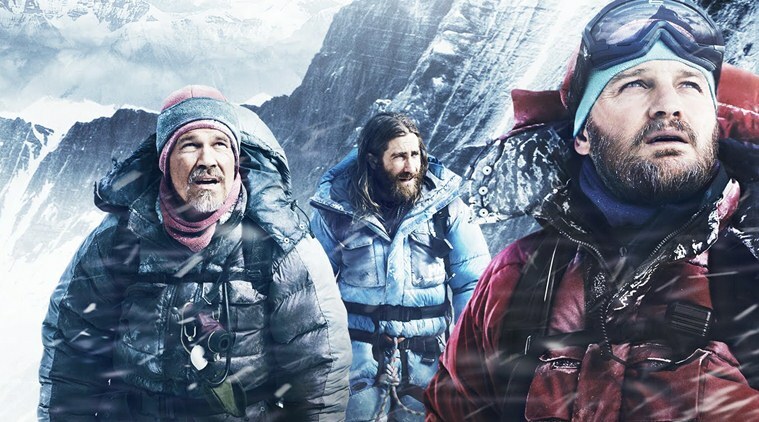 Win An EVEREST Blu-ray Prize Pack! Unbridled ambition, a ferocious storm, and the limits of human endurance collide at the top of the world in the white-knuckle adventure Everest, available now on Digital HD and 3D Blu-ray, Blu-ray, DVD and On Demand on January 19, 2016, from Universal Pictures Home Entertainment. Following a pair of expeditions to the highest point – and most dangerous place – on Earth, Everest captures the brutal majesty of the deadly peak, and the boundless courage required to conquer it, with breathtaking cinematography and spectacular storytelling. Exclusive extras make Everest a can’t-miss, must-own event, bringing viewers behind-the-scenes for a look at the making of the film, as well as astonishing insights about the real-life 1996 summit attempt that inspired it. And we’re giving away a prize-package! 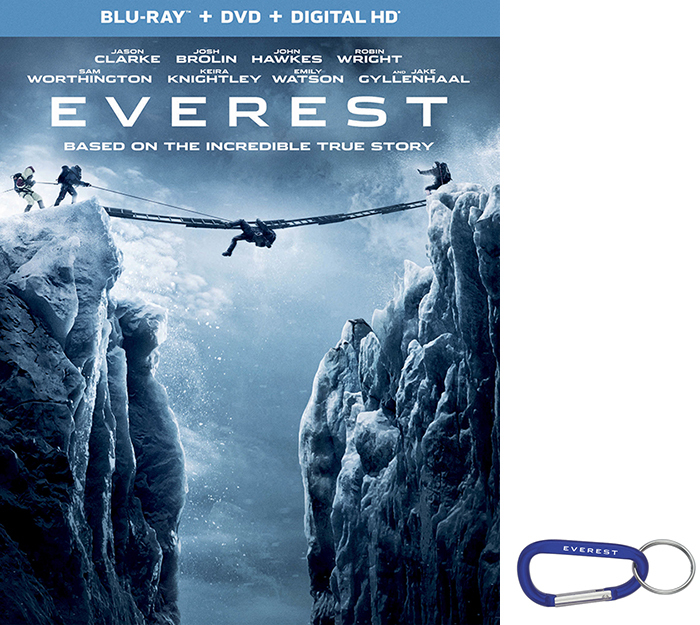 One winner will receive one (1) Blu-ray combo pack of the film (which includes the Blu-ray, DVD and a Digital HD code)​ as well as a limited edition Everest carabiner​! The film cast includes five Oscar nominees. Who are they? Please include your name and address (U.S. and Canada Residents only. You must be 18 years old). Win 7 MINUTES Blu-ray and Prize Pack!